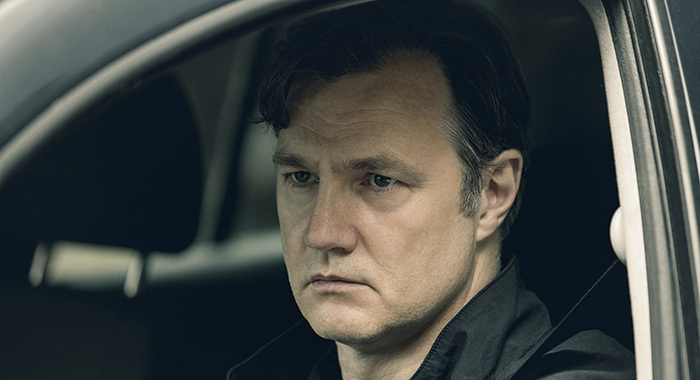 He played villain the Governor in AMC’s zombie series and chases ghosts from the past in the new season of Starz’s abduction drama. 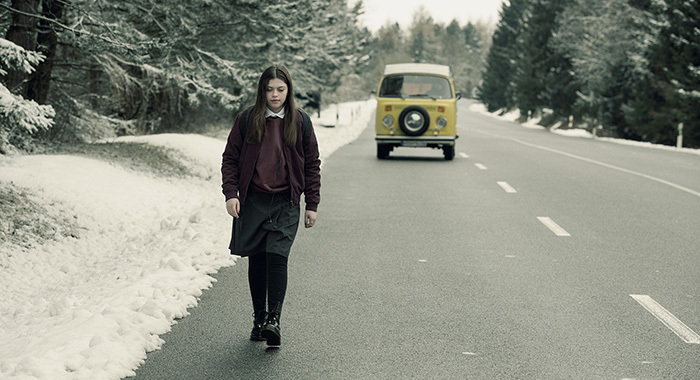 Anthology series The Missing returns to Starz on February 12, with another compelling, mysterious, and heartbreaking story about child abduction. The first season, which aired in 2014, concentrates on a British couple, who, while on vacation in France, have their only child disappear at a large public gathering. 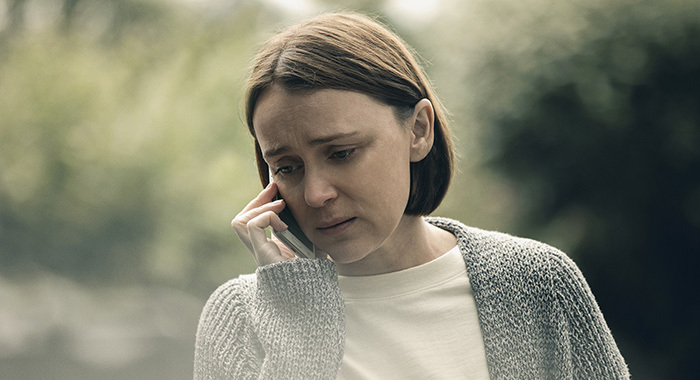 James Nesbitt and Frances O’Connor brilliantly play the anguished Hughes, who are living every parent’s worst nightmare as they desperately search for their missing son. 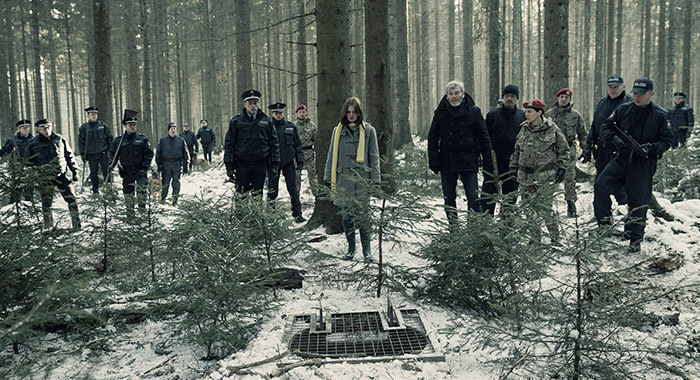 Although they receive help from Julien Baptiste (Tchéky Karyo), a French detective who specializes in finding missing children, the Hughes — particularly Tony Hughes — grow increasingly distraught as the leads and clues dry up. 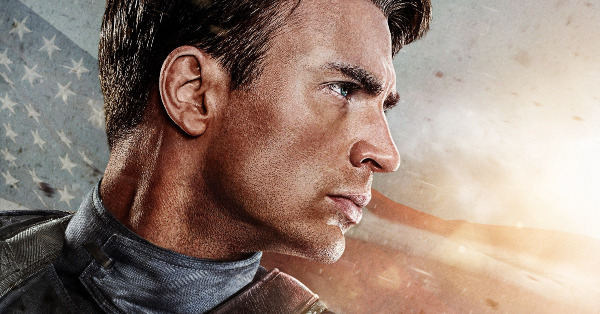 Jumping between different time frames — from the time of the abduction, to present day — we see how Tony’s desperation turns to obsession, and ultimately, how he is never able to find closure. 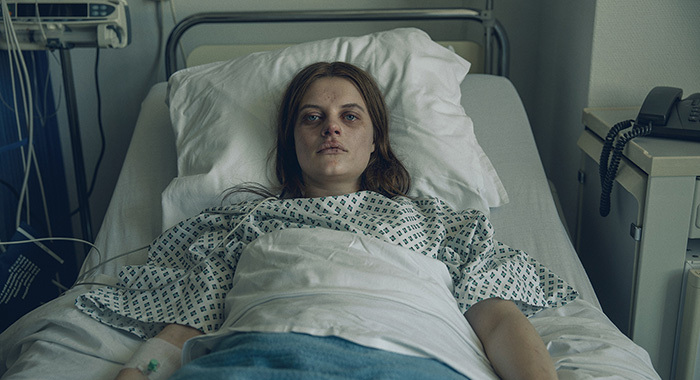 In Season 2, the new case centers on British girl Alice Webster (Abigail Hardingham), who seemingly returns to her family after being abducted 11 years prior. 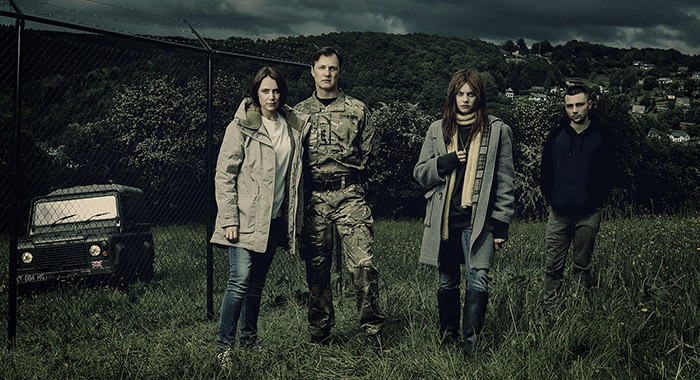 Her father, Sam (David Morrissey), a British military officer stationed in Germany, and mother, Gemma (Keeley Hawes), a teacher on the base, are overwhelmed by their daughter’s return and the impact it makes on their lives. This is further complicated when Alice says she was with another missing girl, Sophie Giroux. Detective Baptiste comes out of retirement to revisit the Giroux case he worked on years before, and together with a British military investigator on the base, Eve (Laura Fraser), they try to find Sophie and apprehend the girls’ captor. Once again using the multi–time frame device, we jump between 2014, when Alice returns, to present day and see how the events have affected the family and the community, all while trying to still solve the crime. Morrissey recently spoke with Rotten Tomatoes about playing this broken father who is desperate to stitch his daughter and family together like it used to be and how the series so expertly weaves the emotional turmoil of a very real tragedy into a mesmerizing whodunit. Morrissey also talks about how he still gets recognized for his work on The Walking Dead and how different the Governor is to the AMC series’ current villain, Negan. Kit Bowen for Rotten Tomatoes: What were your initial thoughts about this new take on child abduction? 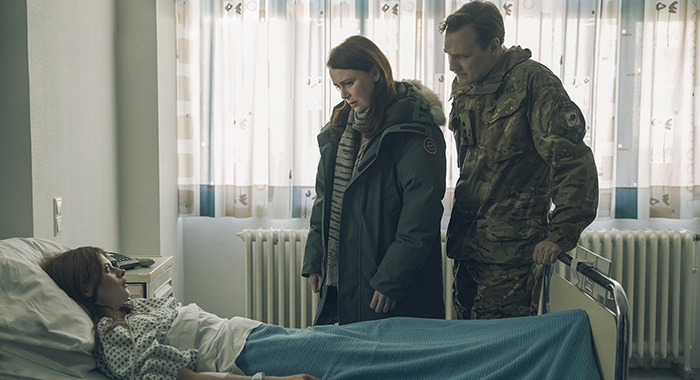 David Morrissey: I loved the first season. I thought it was intriguing, emotional, and also the whole sense of not only a whodunit, but why was it done and where are they going. But this season is different. It does begin with the abduction of a child, but then it’s about the return of a child. This family – mother, father, daughter, and son — the daughter is taken away 11 years before our story starts. The story starts with her walking back into their lives, and it’s about how not just the family, but how the community copes with this girl coming back into their lives. It’s unimaginable to think about, as a parent myself, 11 years wondering what’s happened to your daughter. Where is she, is she still out there? But then to have their dreams answered, and she does walk back in, it turns out to be very complicated. It’s not the ending that they want. There’s no solace in it. The shame and guilt is magnified in this girl’s presence. It also acts as this wedge between the mother and the father. He is so desperate for his daughter to be back, desperate to clean the slate, to start again and be a father again, to protect his daughter again. But while he is blindsided by that desire to go back to how things were, his wife is much more questioning, more suspicious of it. It’s less of a cathartic place for her, and that causes a terrible wedge between them. RT: What sort of research did you do to prepare for the role? Morrissey: I didn’t speak with any parents, because I felt that was a little stepping over the line. There’s a sense of being not too invasive in this. Instead, I read a lot of testimonies from people that it had happened to and who had gone through it. There’re quite a few books, and one or two very famous cases in the U.K. of child abduction, in which they wrote books about their experience and heartbreaks. So I read a lot, and many of them were about people whose children were still missing. That idea of not having closure is what’s so terrible. My character, Sam, in particular, is desperate for closure, which is the most human aspect of all us, really. We all want to make sense of stuff even when there’s no sense out there. That desire to have control over our lives and make sense of it and have some kind of closure over incidents that have happened to us sometimes drives into terrible situations with ourselves. It just makes things worse. RT: Working with Keeley Hawes, the two of you have so many heavy scenes together. How would you get out of that space? Morrissey: I’ve worked with Keeley before, but with this, it takes a lot out of you. Keeley and I are both parents ourselves, and the days were long and emotional. At the end of the day, we would go and sit down and just have a laugh about stuff, you know? Because it was so draining on you and asked so much of you. It was tough, so I couldn’t wish for anyone better to be in that situation than her. RT: Sam’s relationship with Eve is also complicated. Can you talk about that? Morrissey: Without giving too much away, their relationship was very dark and punishing. There was nothing joyous about it. It’s self-destructive. But it’s an important part of the story as well. When bad things happen like that, sometimes people want more misery. They want to heap it on. They feel they deserve it. RT: Besides being such a compelling mystery, it’s also a real statement on the human condition, would you agree? Morrissey: It is. I think Sam particularly feels terrible guilt, terrible shame about what has happened. He is a soldier. He’s a man who’s used to solving problems in a manly way just through action. He’s had his nuts cut off in a way, and he doesn’t have the emotional makeup to be able to see inside, that it’s not his fault in any way. But he has to blame, he has to kick out, and for 11 years, he didn’t have anyone to blame but himself. Then once the girl comes back, he starts to blame, it starts to eat away inside him. It’s so hard seeing a man so consumed by grief and heartache. Also when something like this happens, of course it affects the family, but it’s about how it affects the community. And how rumor, fear, gossip, the repercussions of an event like this around people and how it creates a vacuum in which evil can exist inside of. Suddenly, their whole way of viewing their life goes into a tailspin. Even for the family themselves, they get sympathy from the community, but the longer it goes on, the more suspicion falls on them. You can grieve for so long, but can’t grieve for too long, because you’re sort of affecting us now. There’s a real sense that this event is ink in the water of the community, and it just poisons everybody. RT: What an amazing job the show also does going back and forth between different time frames to create the intrigue. Other characters are changed as well. The French detective Julien Baptiste goes from being a very alive, very active person to suddenly his head is shaved and he is in the middle of Iraq. He’s got this limp and it looks like he is suffering. In a very active way, you’re going, “What’s happened to these people?! What’s going on?” And then you go back to 2014, again. It’s that puzzle you get the whole time, which is a very exciting ride, I think. RT: Such a great ride. 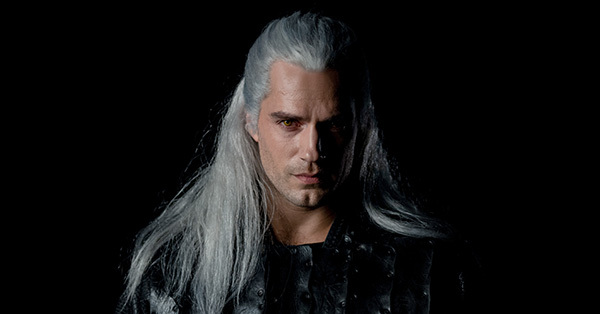 Watching the show felt very much like reading a novel, like introducing a character and then reading, “…and that’s the last time anyone saw him” and you’re yelling, “Why? !” and have to read on to find out. Morrissey: Exactly. In the U.K., season 2 came out just before Christmas. Eight weeks before Christmas. Just walking on the streets, people would come up to me and give me their theories. They didn’t want me to tell them what’s going on, but the excitement in their eyes, where they themselves were playing detectives. And they’re saying, “I know what’s happened!” and this is this, this person is that. It was fascinating. It just caught people’s imagination. Every week on Twitter, it was the No. 1 trending topic for days afterwards. Giving their theories on what had unfolded in front of them. I think that’s such a great process to be involved with. RT: Speaking of water-cooler shows, how is life after The Walking Dead? Do you still get recognized as the Governor? Morrissey: Look, I’m very proud of The Walking Dead. It is a world phenomenon. People mostly come up to say, “I love to hate you.” There is that sense of playing someone so horrible in that show, but the show is such a phenomenon, it’s great! But even all around the world. I was recently filming in Prague, just after The Missing, to do a show over there, just walking around the streets there, people recognized me. It’s amazing. But 99 percent of the people I meet who love the show, know it’s a show and are very complimentary about my work inside it. It’s just great to associated with something that is so popular. RT: Right now, I’d take the Governor any day over the horrible Negan. Morrissey: Oh, I know! [Laughs] I think the Governor could run for office tomorrow, and he might be OK. I know Jeffrey Dean Morgan, we’ve worked together, and I love him so. I’ve not seen this last season, I only saw the [Season 6] finale. But I know he’s killing it, and he’s such a great guy and great actor, so it’s wonderful to hear the reactions. 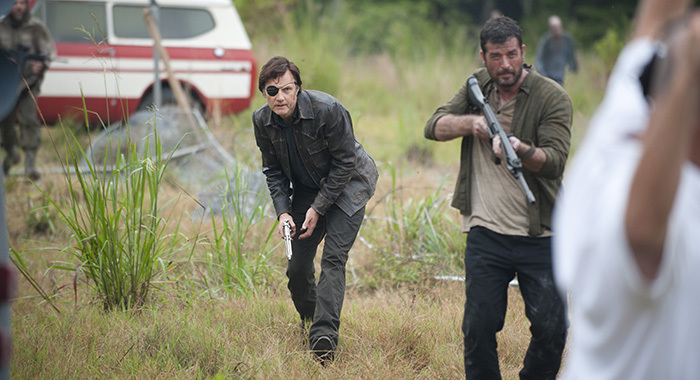 RT: Unlike Negan, though, there was always a vulnerability to the Governor. You kind of felt for him. Morrissey: The key for me with the Governor was his daughter. It was very human thing to keep her there, and to keep her close, and to try to get back to some normality. 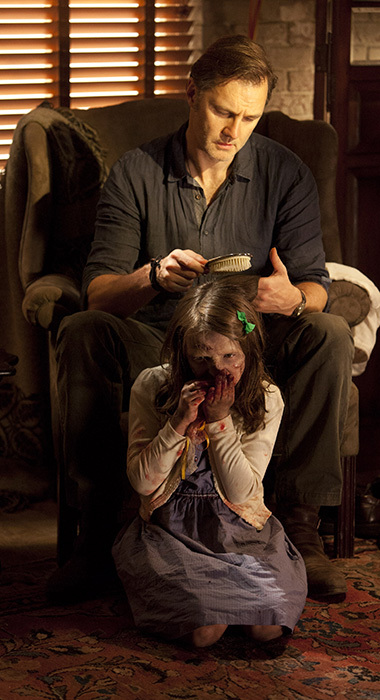 Even though it was quite weird, him combing her hair and stuff like that, but he wanted to keep her close. That’s very human, loving thing. Of course, then events played into his hands, and he turned totally psychotic but what was so great in the writing, is that in Season 4 when he comes back, he’s a man who has changed. He’s a man who is trying to fight the dark side, and loses that fight, but that’s why he doing it. He’s not indulging the dark side, he just knows it’s there.